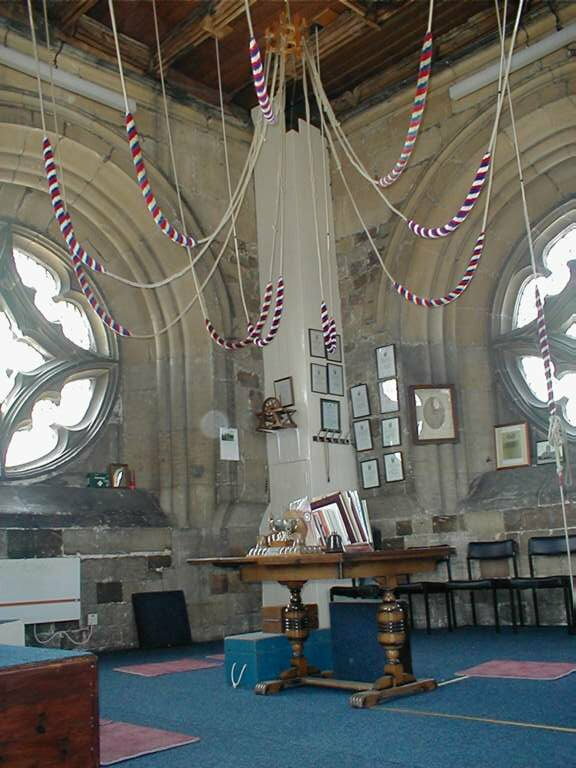 In England, the change ringing is mostly practiced. This is done not only on festivity days, but also on sports competitions. The interest for this is growing in the Netherlands as well. Changeringing can be done with any number of bells, a peal. (a peal is any number of bells) Suppose we take a peal of six bells. From each of the six bells, ropes are usually guided to the level below. Six persons stand at this lower level in a circle. They are refered to as the changeringers. They will ring the bells in a special manner. Each ringing handles an identical single bell. The changeringers take turns to ring their bells ones. Lets call those changeringers 1 – 2 – 3 – 4 – 5 – 6. Below is an example in which manner the bells can be rung (Plain Hunt). There are more complicated exercises as well. Click on this line to see more complicated example for peal of 4 ringers. So a peal of 6 bells has 720 sequence (row) possibilities. If every quarter of a second a bell is ringed, it takes, in case of 6 bells, 18 minutes to have each sequence passing by once. With 8 bells this takes 22 hours and 24 minutes. In practice, of course this doesn’t happen other than for a new record in the Guiness Book of records. But will there be any village allowing this? Before the change ringing starts, the starting sequence (as aforesaid 1,2,3,4,5,6) is played several times. A ringing is done according to a strict pattern. A pattern can be rather complicated. No bell moves more than one place in the order in which they sound. A bell can not be rang repeatedly. Example: with 3 bells row 1,2,3 can not be followed by 3,2,1. 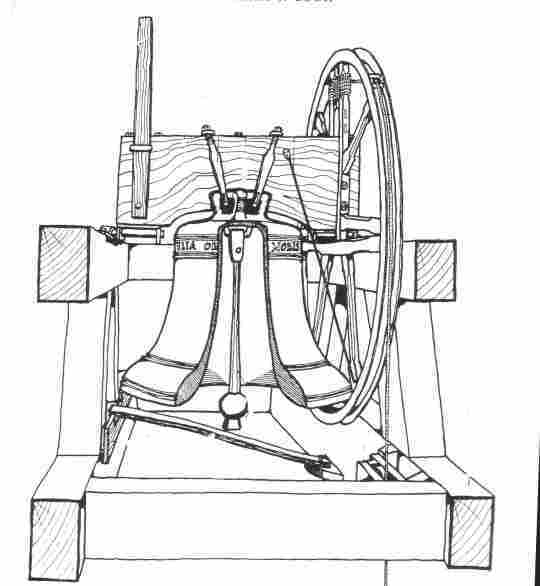 A bell can keep its position during a few rows. No row should be repeated in any piece of ringing. Any piece of change ringing, however long or short, must start from rounds and end with rounds.